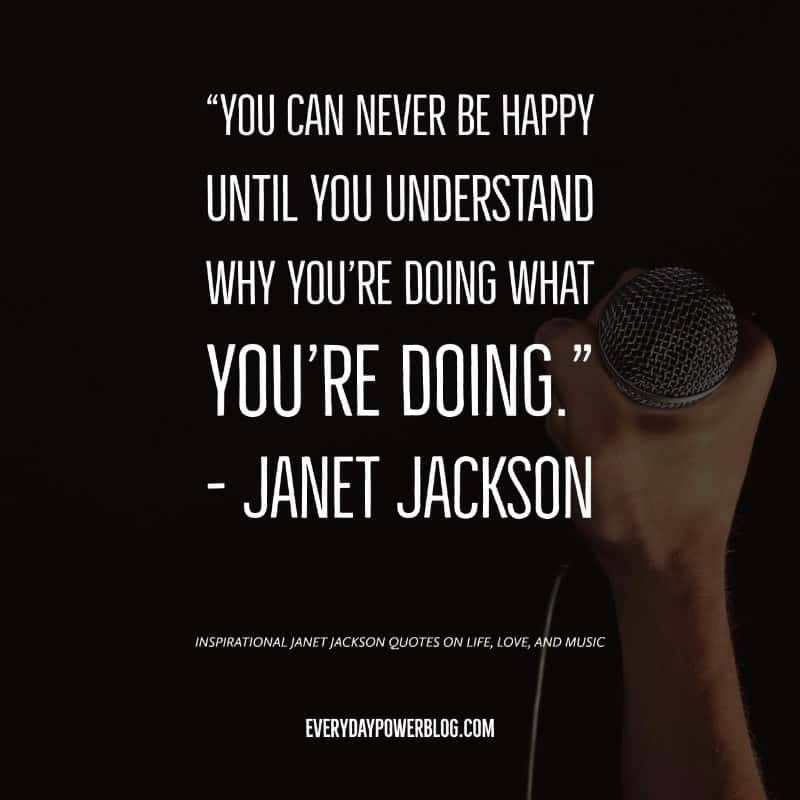 Looking for inspirational Janet Jackson quotes? 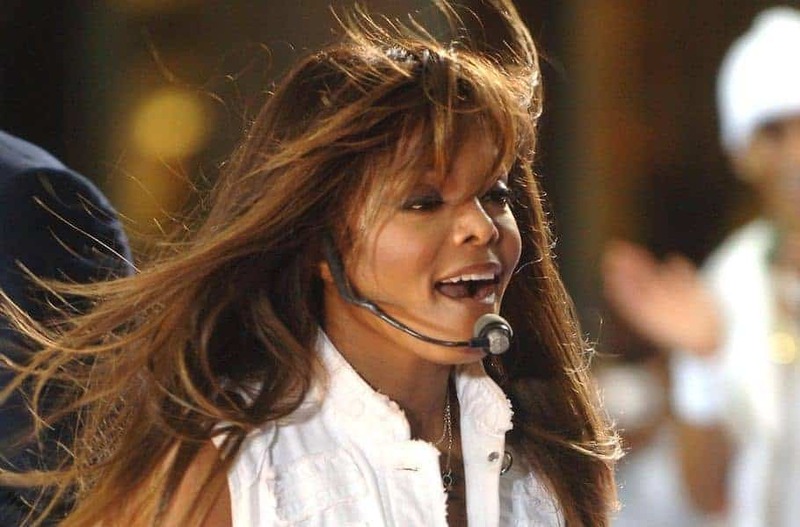 Janet Damita Jo Jackson, more commonly known as Janet Jackson, is one of music’s most popular figures. As the youngest child of the Jackson family, she showed great talent and potential in the industry early on. In fact, she signed her first recording contract when she was only 16. 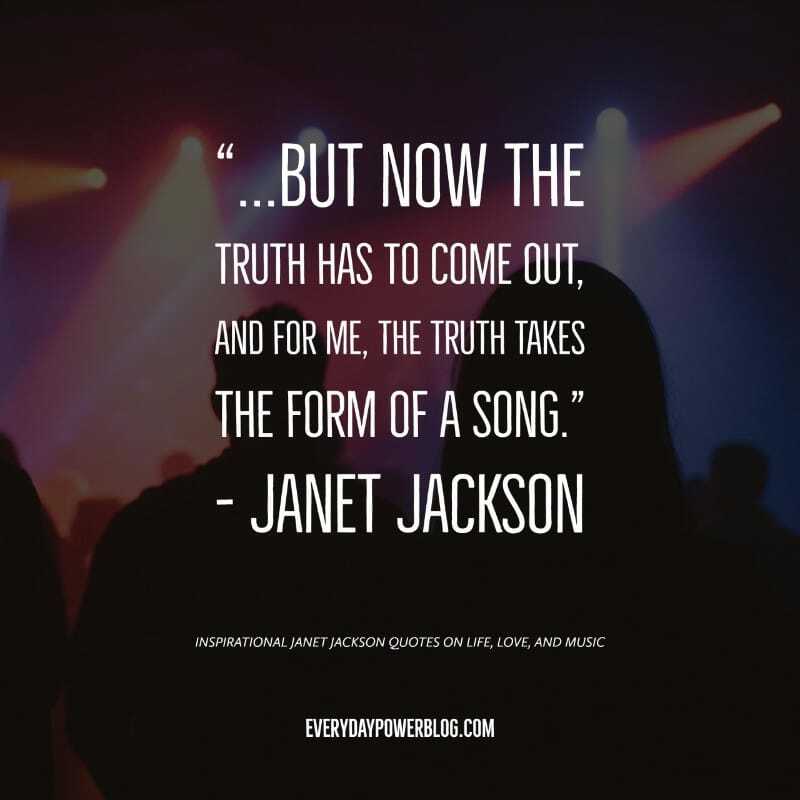 Aside from her multi-million dollar success in music, she’s also a famed dancer, actress, record producer, and author (True You: A Journey to Finding and Loving Yourself available on Amazon). 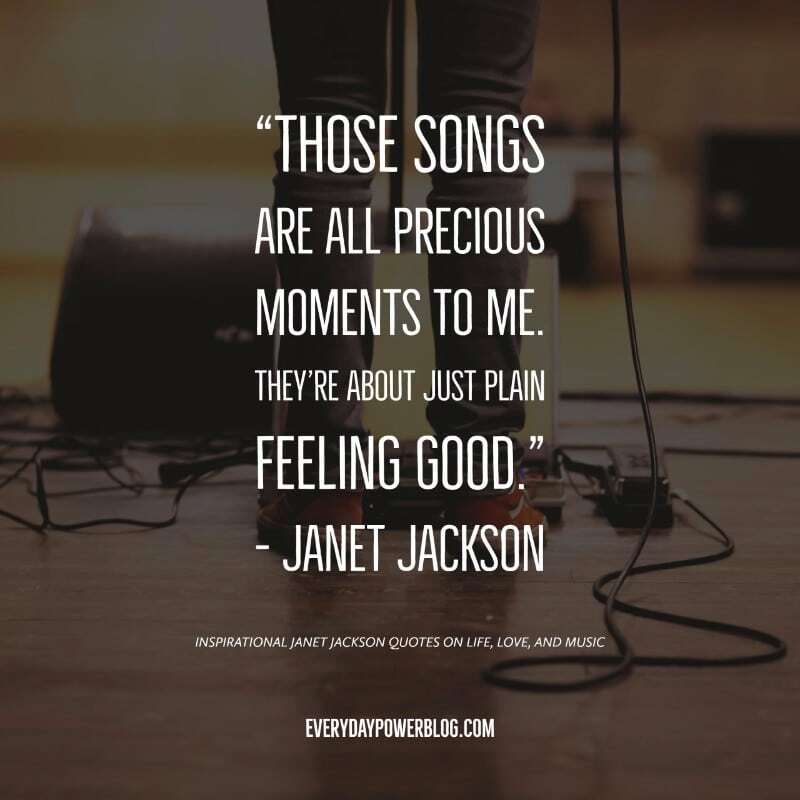 Janet Jackson’s best hits include “Nasty”, “Rhythm Nation”, “That’s the Way Love Goes”, “Together Again” and “All for You”. She’s one of the best-selling artists in pop music history, having sold more than 100 million records worldwide. 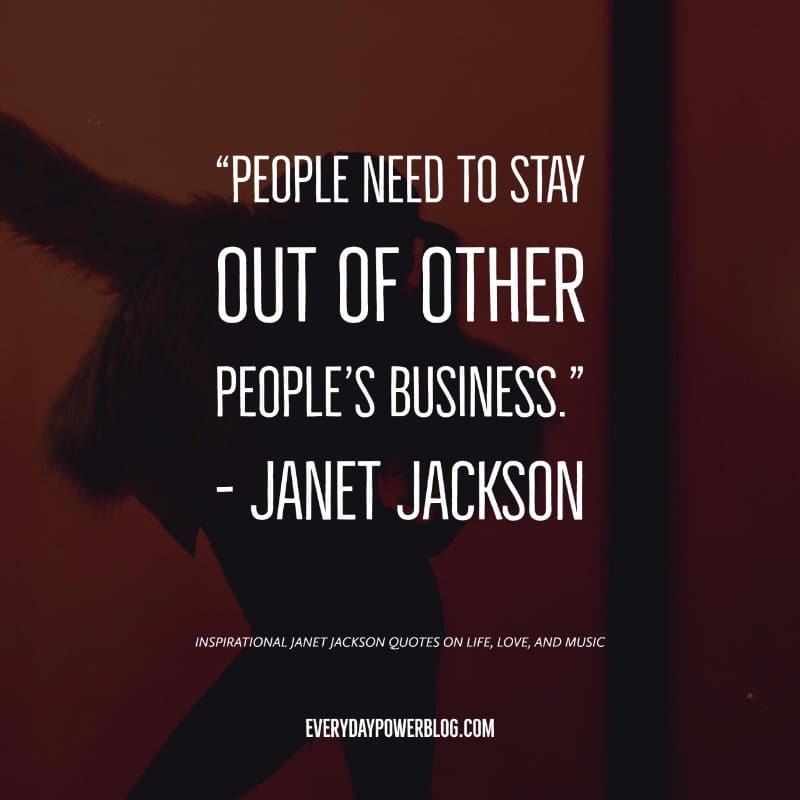 Janet Jackson also remains as a great influence for aspiring artists in the industry. Her talent, energy, and innovative performances have paved the way for performers today. It’s not surprising that she’s still an icon 30 years later. 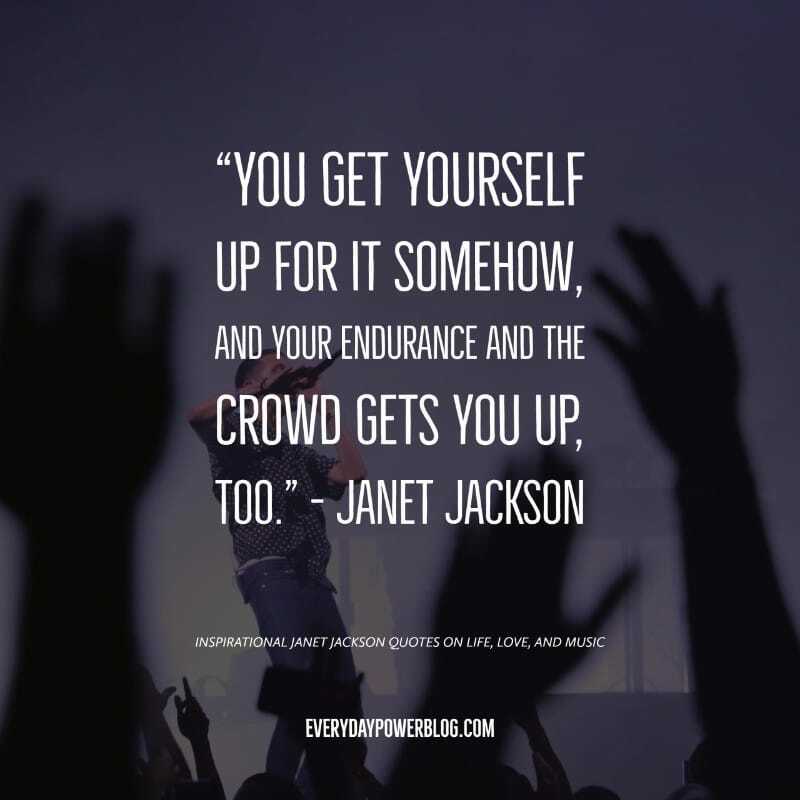 Whether you’re a fan or you simply need a little encouragement, these Janet Jackson quotes on life, love, and music should hit the spot. 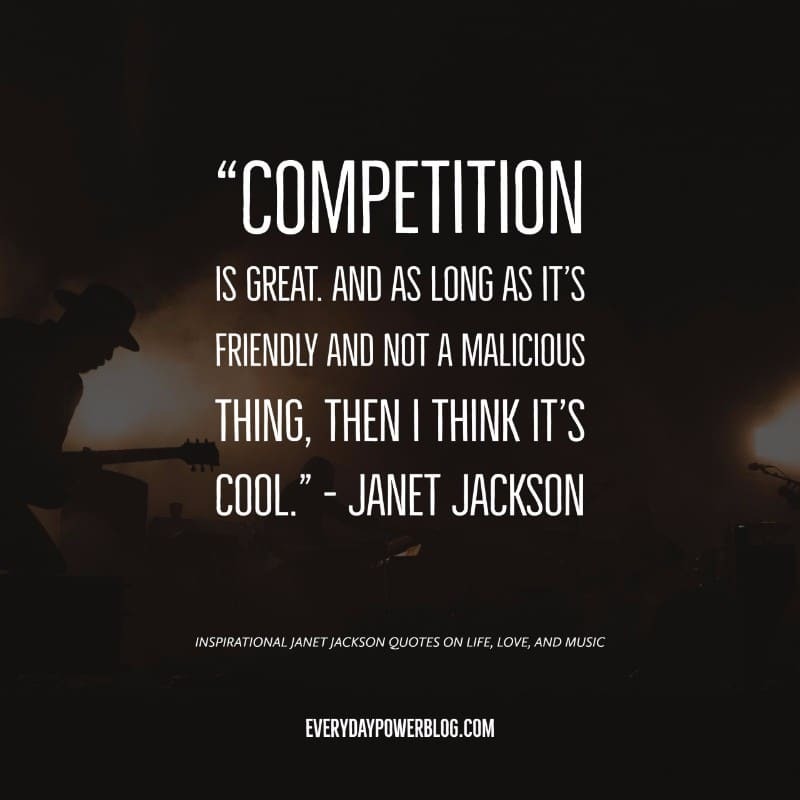 Gather some wise words from contemporary music’s best loved performer. 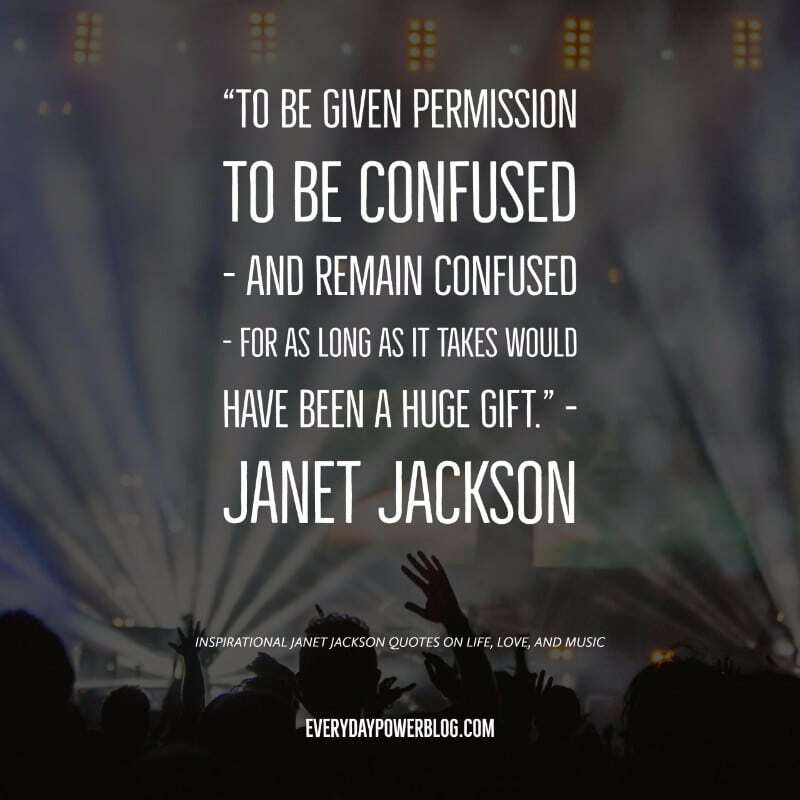 Which of these Janet Jackson quotes speak to you the most? 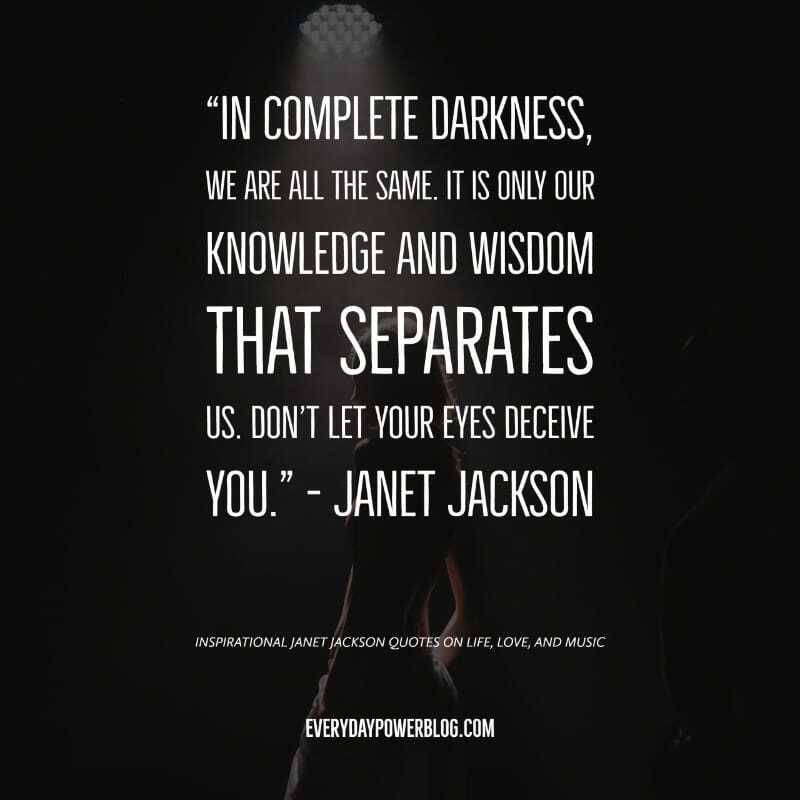 Janet Jackson was among the ranks of recognized artists (like Whitney and Prince) who crossed over racial boundaries in the recording industry. But like the rest of us, she also had her share of trials. She used her sixth album, The Velvet Rope, as an outlet to channel her battles with anxiety and depression. 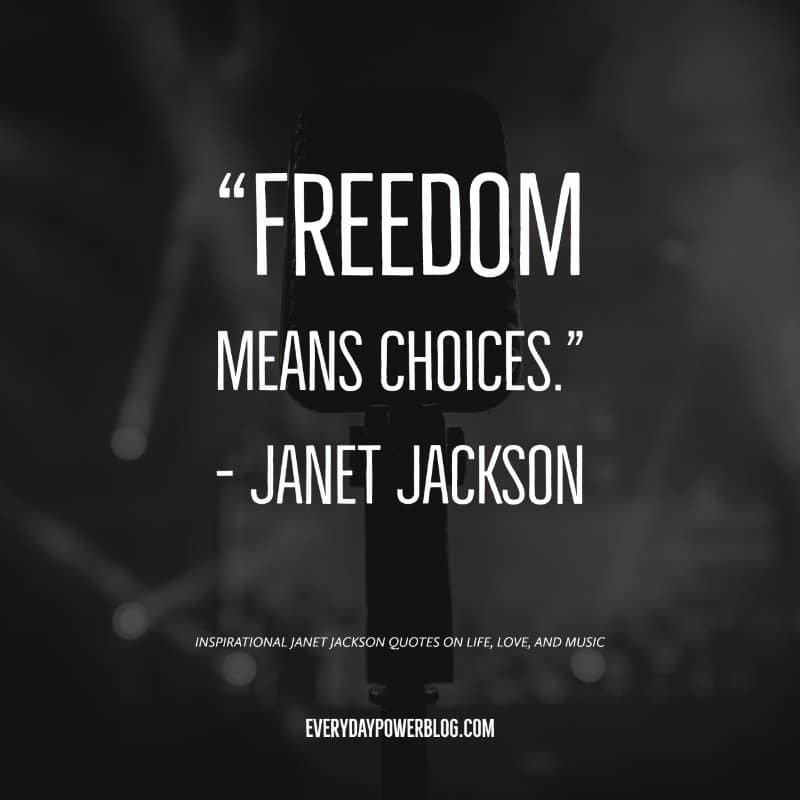 Despite the scandals and controversies, she continued to make music that reflected her views. 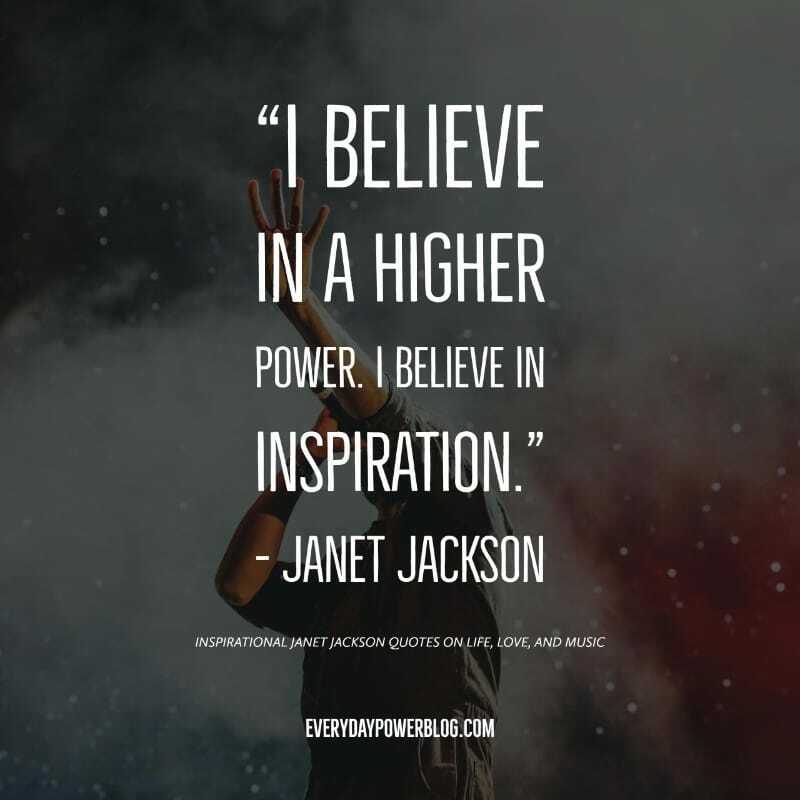 Perhaps the most successful of the Jackson family, Janet Jackson’s legacy can be seen not only through her music and lyrics, but also in her influence on women and young girls. She has definitely set the stage for the performers we know of today. 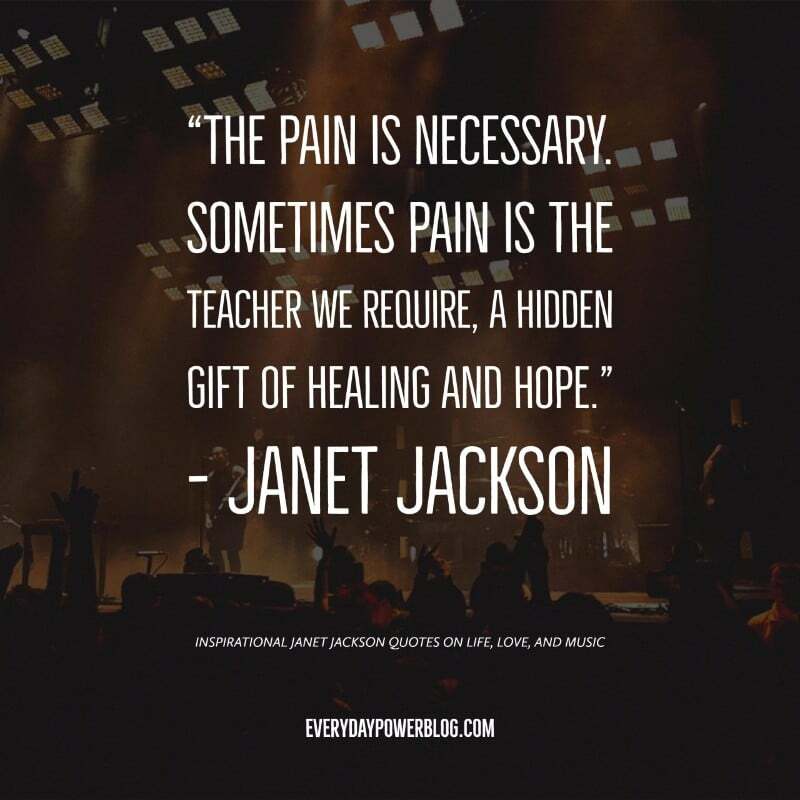 If you enjoyed these Janet Jackson quotes, don’t forget to share them!